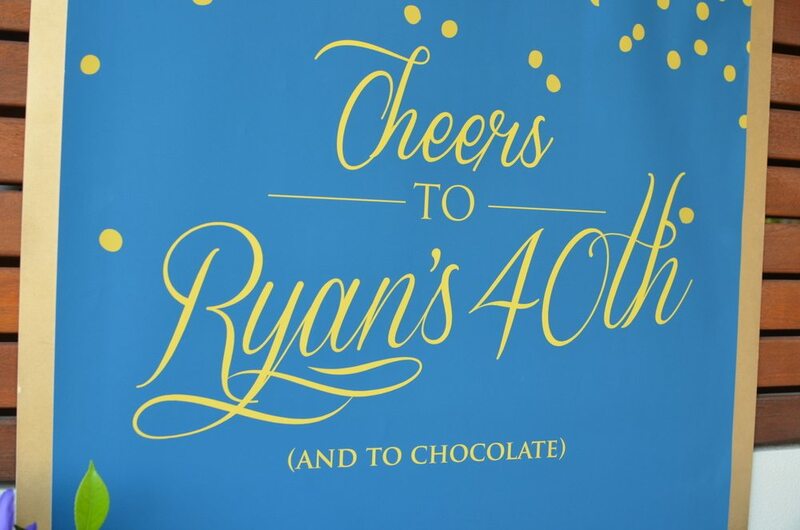 A blue and gold 40th birthday! 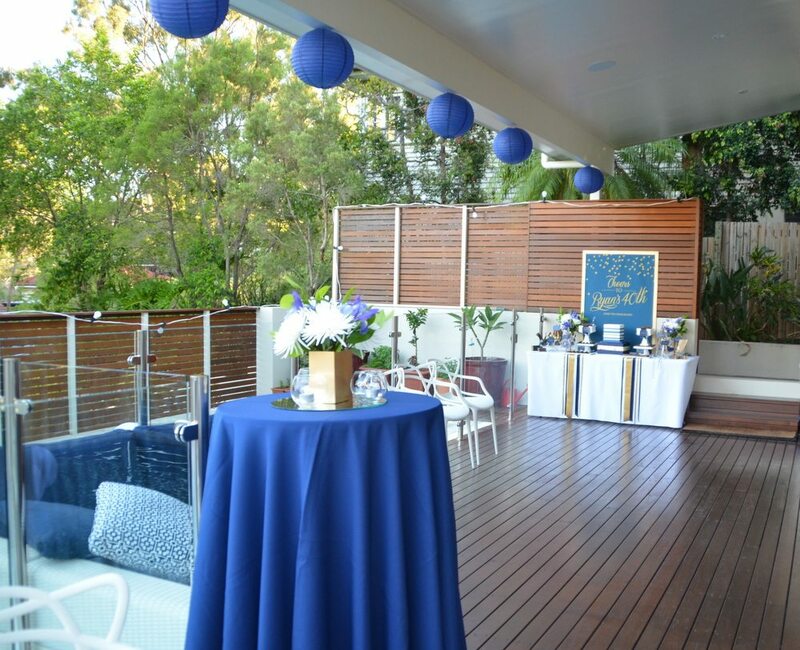 Ryan asked me (with very short notice) to style his 40th Birthday party at his stunning new home in Bardon, Brisbane. Ryan told me he loved the colour blue and also loved chocolate so I designed a very yummy chocolate buffet! The buffet featured a square blue and gold stripe chocolate cake by The Flour Girl along with amazing Cherry Ripe Slice and Chocolate Tarts by Taart at Ashgrove. I added in a mountain of other chocolates including honeycomb and navy blue M&Ms. The fabulous backdrop and tent cards were designed by Sweet Scarlet Designs. 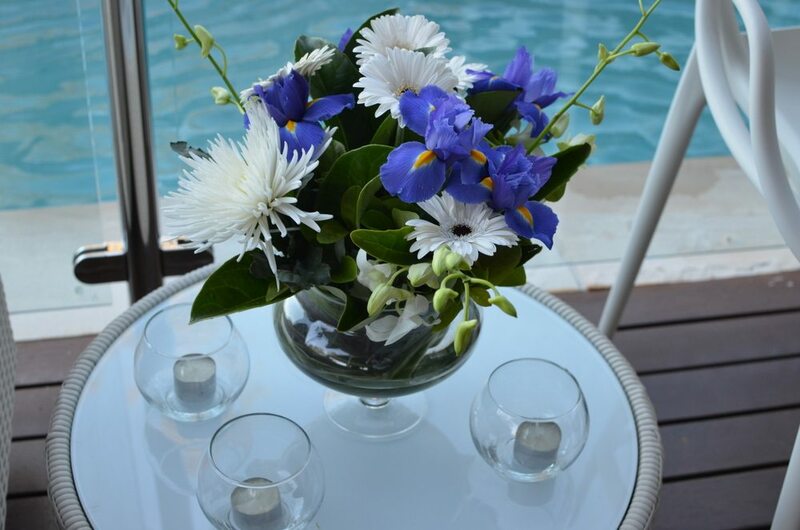 Ryan’s great deck and space around the pool was decorated with navy lanterns, dry bar tables with tea lights and flowers and I also filled in a few nooks around the house with fresh florals from Northside Flower Market.